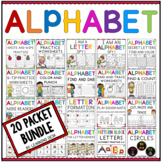 This bundle includes one worksheet for each letter of the alphabet. 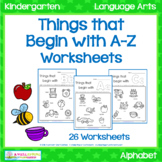 Each worksheet will work on upper and lower case letter. I hope you enjoy and please leave feedback! Also I will be posting a HUGE A-Z bundle soon! 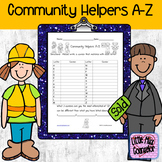 This printable includes 28 (a-z, ch, sh, th) beginning sound worksheets. Each individual worksheet directs the students to color the pictures that begin with the chosen sound. This would be great to be used as morning work, homework, an assessment, etc. 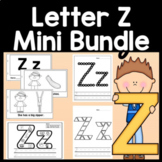 This bundle includes two worksheets for each letter of the alphabet. 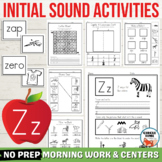 The student will work on tracing the letter as well as phonics by cutting and pasting pictures with the beginning sound of letter on worksheet. 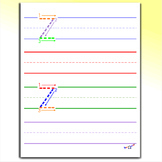 Please check out preview for free copies of A-C. Please leave feedback and enjoy! 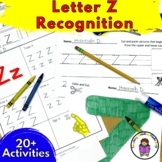 Worksheets to develop writing skills of each letter. There are also pictures on each page of words beginning with each letter with traceable words underneath. I used these for childrens alphabet books. 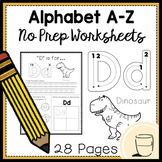 A-Z Worksheet Practice is a 78 page worksheet set to help students practice capital letter formation. Set includes line letter practice as well as word spelling and a capital letter maze and dot-to-dot puzzle for each letter. Sample of what each letter includes is shown on image thumbnails above.